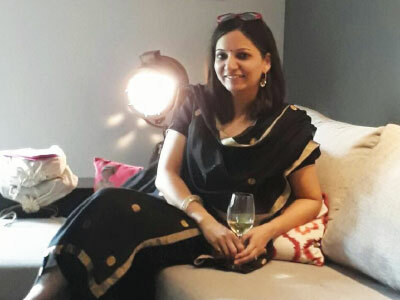 Pooja Kaura, with her dual qualification in Marketing and HR, has spent over 19 years working with corporate giants like the Bharti Enterprise (Bharti Airtel), NIIT, IMS Learning Resources, as also with greenfield companies like Visakha Container Terminal (JV between DP World and J M Baxi Group). Her current association, with Blue Lotus and the Comniscient Group, has been a long-standing one, of over a decade now. Pooja has been able to deliver quality consistently at all the positions she has held in the past and her stellar attributes have found a way to shine through in her work ethic and meticulousness. With her entrepreneurial outlook and a deep understanding of the business objectives and goals, Pooja has been at the core of many of the Comniscient Group’s initiatives. With great people management and listening skills, she is adept at marrying the employee’s personal and professional goals with those of the organization. Her areas of expertise include Recruitment, Training and Development, Compensation and Benefits, Statutory Compliances, and Performance Management, among others. The basis of Trust has socio-psychological foundations, and it allows social action that may otherwise not be possible. In our personal and public life we often act on the basis of incomplete information, and without the bridge of Trust, all our decisions would, at the very least, take more time and effort. Trust is the basis of all our transactions, with people, things and even ideas. Trust can be understood as a ‘framework of expectancy’ in all exchanges a human makes - social, emotional and commercial. Over time the trust-building rituals among humans have become very sophisticated, and yet the current era is characterized by a growing trust deficit. In earlier times, the basic instincts for food, mate, shelter, and security grew with trust, and triggered aggression when faced with a trust deficit. Trust has become far more complex and difficult to decipher, and trust deficit exists for several reasons known and unknown. Trust is a social-glue which brings stability to any relationship and balances the unstated terms of engagement based on commonly understood expectations. The act of trust involves a voluntary transfer of resources – emotional, physical, financial or material - with no immediately visible tangible or quantifiable commitment from the trustee. Trust only develops when the result of the interaction is perceived as beneficial to the trustor. The act of ‘play’, one of the most important instructive tools for children, is also an important social school for the child, helping seed Trust in the child beyond the ‘known-and-comfortable’ family circle. Trust is a river, and its continuous flow is necessary for the trust bond to remain intact without drying up. Trust moves through paths of least resistance in the relationship, and minute drops of Trust coalesce over time adding to the cascade. Building trust is less an act of creating, and more an act of ‘accumulation’ as it crosses the barriers (of mistrust and doubt) transforming it to a strong flow. Gaining trust is tough, but regaining it after losing it is much tougher. Trust is unidirectional- while your boss may trust you, you may not trust your boss. For a business to be successful, its stakeholders have to trust it. Build trust. The rest will take care of itself. Trust impacts the behaviour and performance of businesses in many intriguing ways. Building trust is less an act of creating, and more an act of ‘accumulation’. Trust is like a river, and its continuous flow is necessary for the trust bond to remain intact without drying up. If any business, entity, brand or, individual, solely focuses on building trust, it will lose trust in the long run. Trust is applicable to all its extensions- Brand Trust, Investor Trust, Employee Trust, Stakeholder Trust and others. Trust is a social-glue which brings stability to any relationship and balances the unstated terms of engagement. Trust moves through paths of least resistance in the relationship, & minute drops of Trust coalesce over time adding to the cascade. Among all exchanges, the most visible, direct and tangible impact of trust is probably seen in businesses. Copyright © 2016 Blue Lotus Communications Pvt Limited. All right reserved.